A charming and delicate soap made from sap and essential oils. 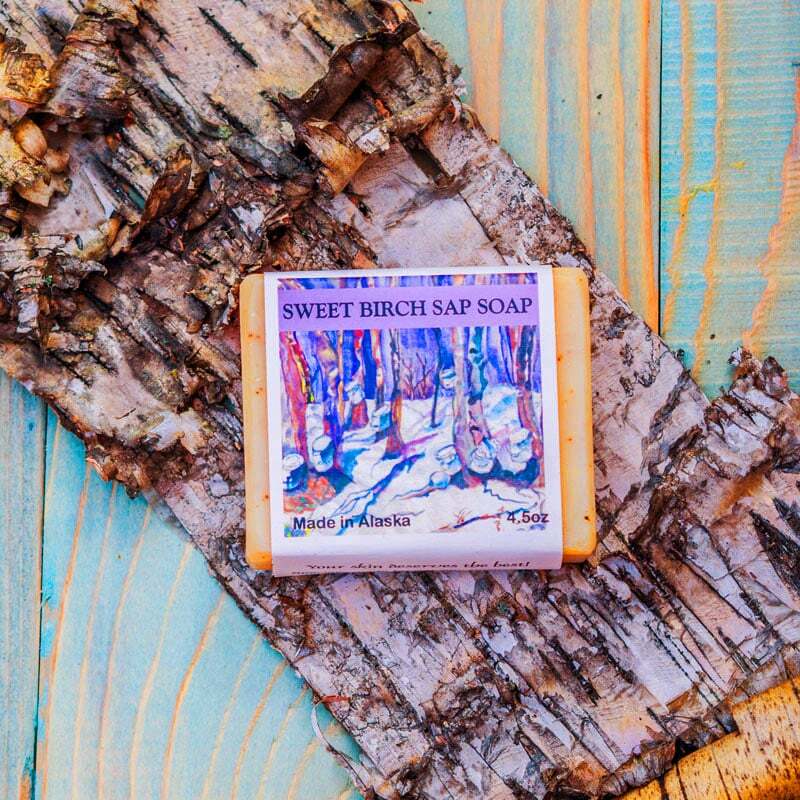 Custom made by our friends at Denali Dreams Soap Company, using sap harvested and frozen in the spring. The soap is lightly scented with essential oils of sandalwood and pachouli and the sap makes the soap gentle and delicate. The wrapping shows a painting by Dulce’s mom, Becky, who is in her nineties and still painting.